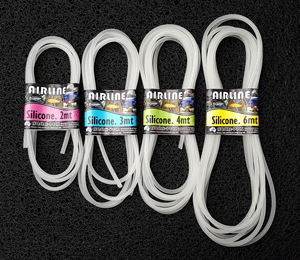 Aqua-Pics Pre-cut premium silicone airline is conveniently pre-cut in 4 different lengths – 2m, 3m, 4m & 6m. It comes attractively packaged with hang sell or shelf stacking in mind. Easy grab & go for the customer in a hurry! 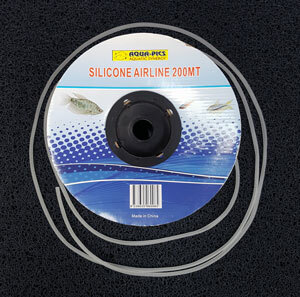 Aqua-Pics Premium Silicone Airline comes in a bulk 200m roll that can be placed on a rod to be easily rolled off when cutting whatever length your customer requires. The Airline Accessory Kit is a convenient hang-sell pack with silicone airline, air flow control tap, air stone and 4mm joiner. Ideal for starting a small aquarium, and convenient for retailers to add to small tank setups for sale. Check Valves should be fitted in the air line approx. 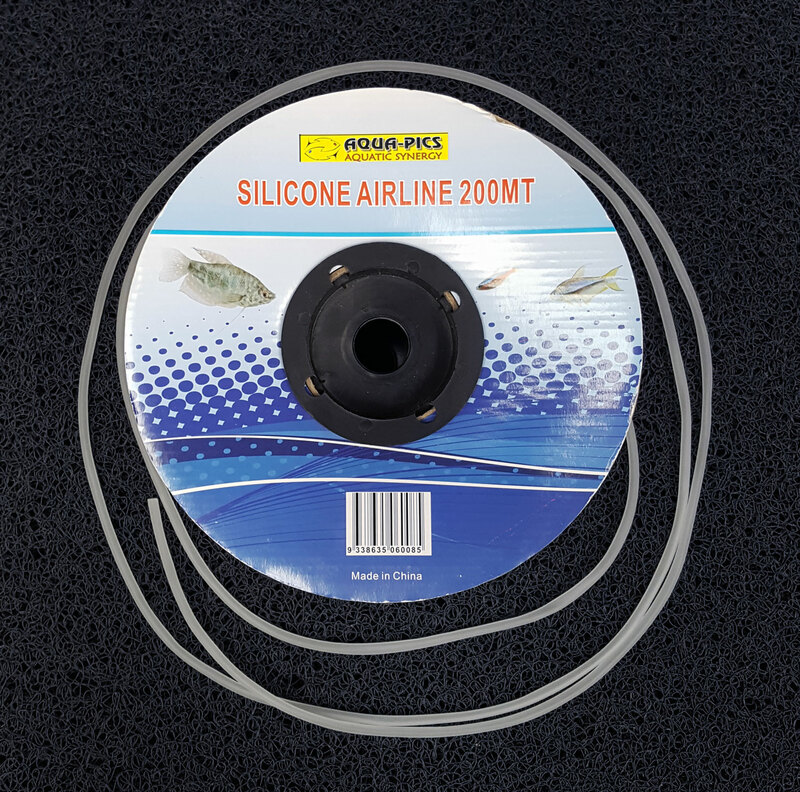 6” (150mm) from the air pump and are designed with a silicone one-way reed-type valve so air can flow to your equipment in the aquarium without too much restriction. In the event of a power failure, water can syphon back down the air line into your pump, causing damage to the pump and electrical shorting. 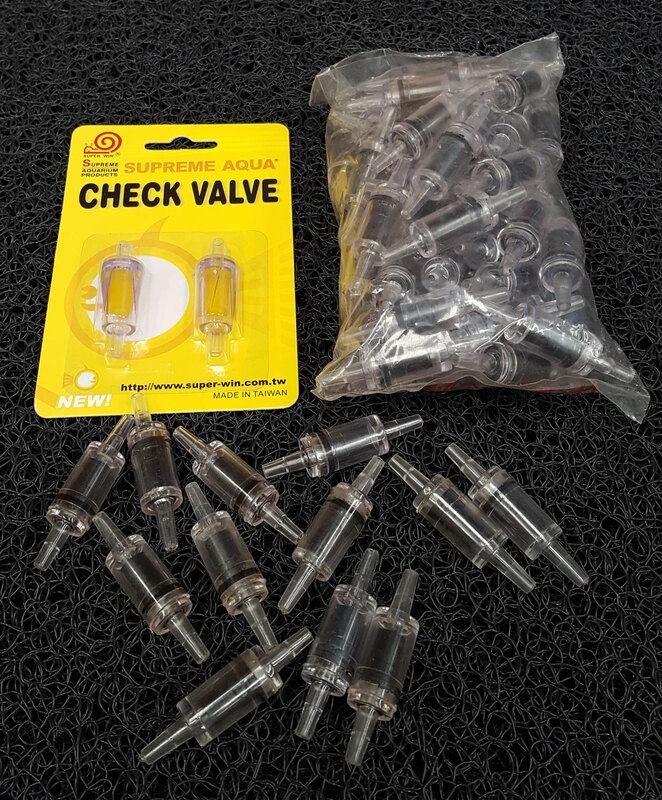 These simple one-way check valves stop the water before it can get to your pump, so preventing any water damage. 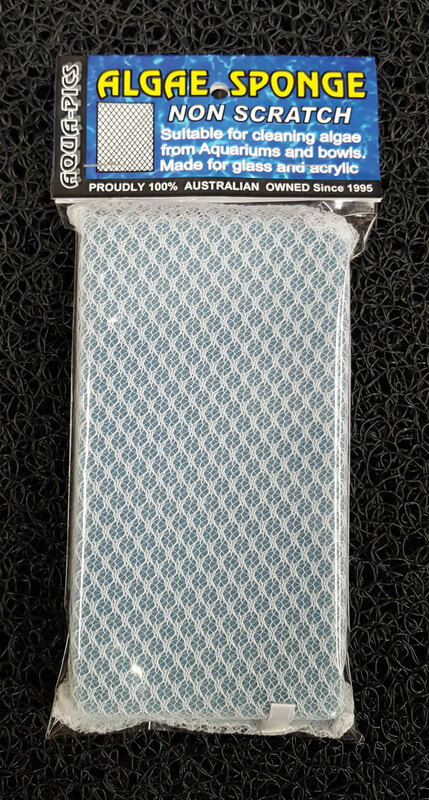 This versatile 9mm thick rigid plastic egg crate with 12mm holes comes in sheets and is highly sought after by aquarium hobbyists. 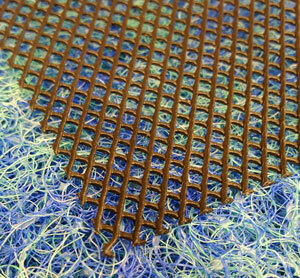 It can be used for a multitude of projects, such as tank dividers, sump medium supports, and live coral stands, etc. 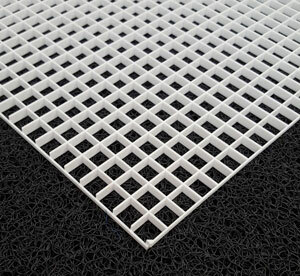 Aqua-Pics Aqua Mesh is a long-life heavy duty flexible mesh that comes in many sizes with either 1mm holes or 5mm holes. 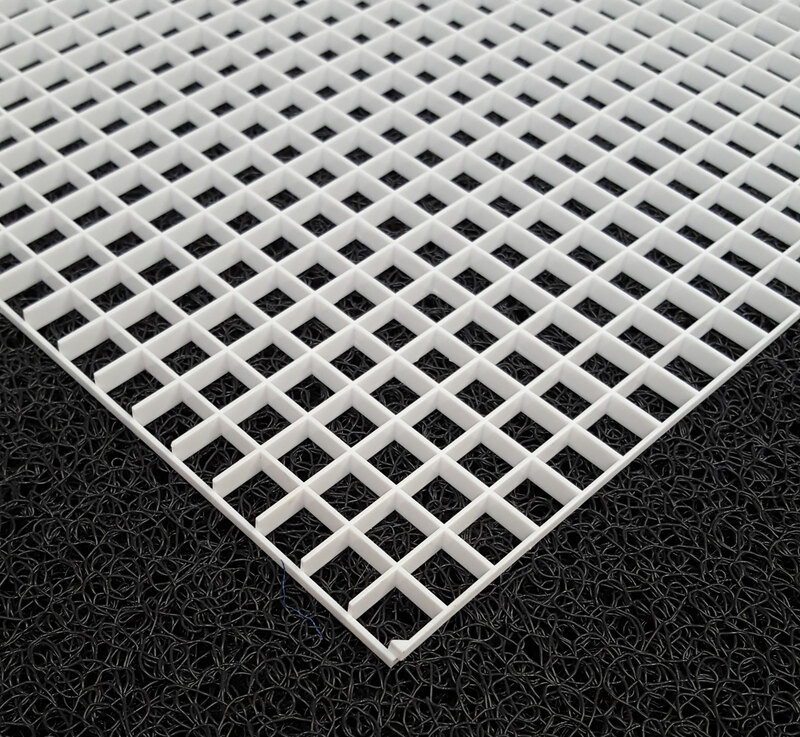 It originates from the oyster growing industry and is a good universal semi-rigid mesh that can be used on sump overflows, attaching moss-type plants, for making tank dividers, and for homemade fish saving devices or fry boxes, etc. 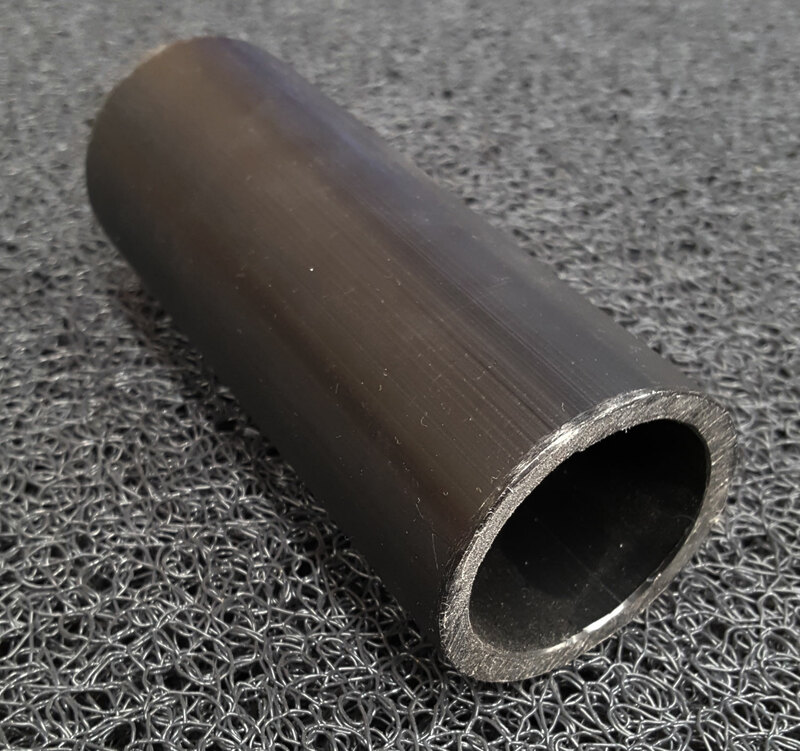 Ghost Knife fish are known for their hiding skills and often hide from view. 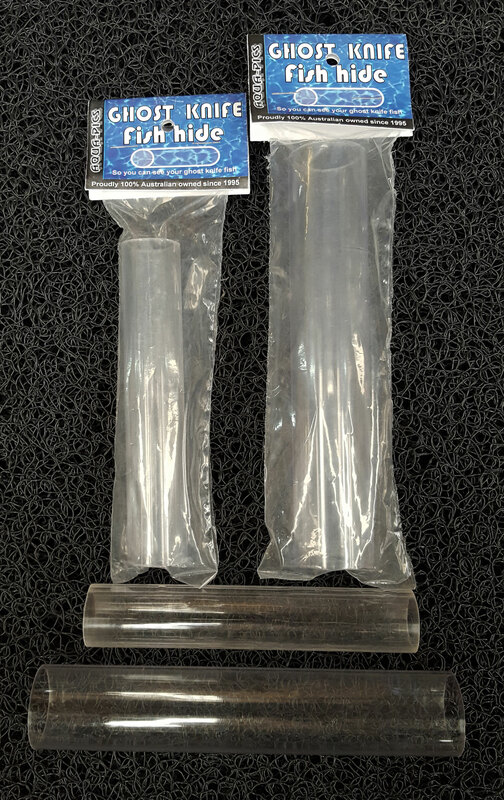 Our Ghost Knife Hides are a clear polycarbonate pipe that can be placed in the front of your aquarium so fish like ghost knives think they are hiding but remain in full view. Many fish such as cichlids get territorial and often single out a fish to pick on. This fish often gets pushed to a corner or to the surface of the aquarium with nowhere to hide. Our floating Fish Savers offer such fish a hiding place and refuge from the nipping and biting that happens when you get an aggressive fish, allowing the victim to recover and start healing relatively safely, often preventing imminent death. 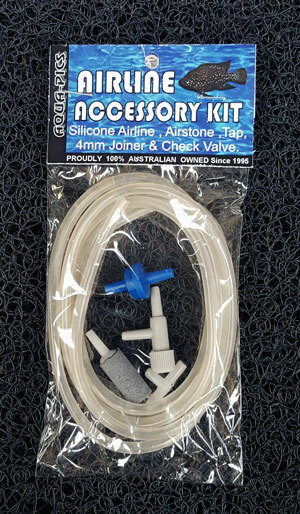 These can be an essential accessory for any breeders or serious hobbyist with mixed aquariums and / or breeding setups. As many testing tubes that come with test kits are narrow making it hard to see the colour changes, we have 2 different sized testing tubes with broader diameters. 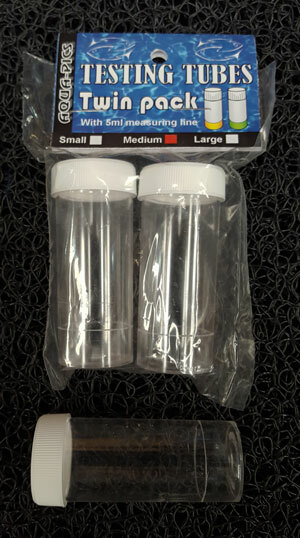 With a 5ml marked water line, these testing tubes allow you to swirl as you add the drops while testing and the extra width allows for much denser colours, making any colour changes more obvious, to get better, more accurate test results. 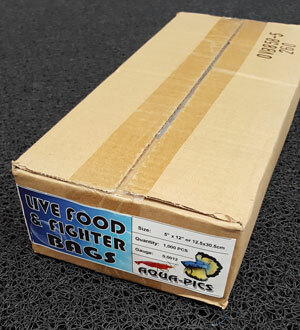 These poly bags are 0.0012 gauge thickness 5” (12.5cm) wide and 12” (20.5cm) high and are suitable for transporting betta / siamese fighting fish, live food or any other small tetra or rasbora type fish. This algae cleaning sponge is covered in a unique non scratch nylon mesh that glides over your glass or acrylic removing the attached algae whilst leaving the glass or acrylic clean and unharmed.